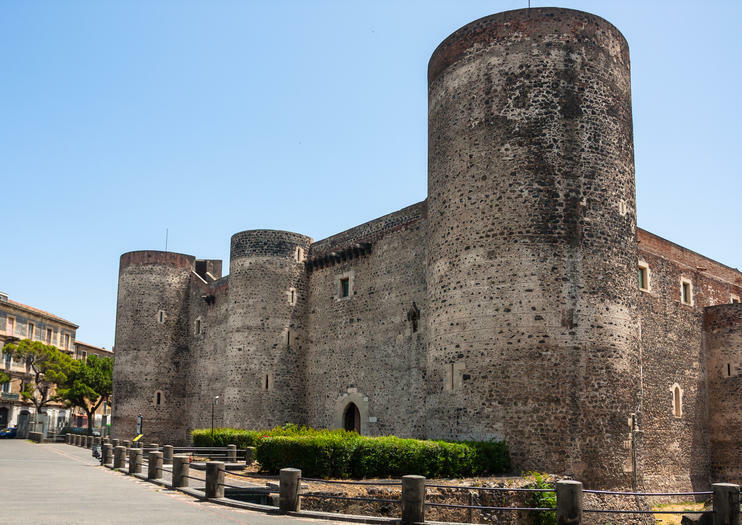 Catania is best known for its Sicilian baroque architecture, but one of the most important attractions in the city actually dates from centuries earlier: the formidable 13th-century Ursino Castle. Built by Emperor Frederick II, it now houses an impressive collection of art and artifacts in the Museo Civico (Civic Museum). The most impressive vestige of medieval Catania, Ursino Castle (also known as the Castello Svevo di Catania) holds much of the personal collections of the Prince of Biscari, including paintings from the Sicilian school, a Hellenistic statue of Polyphemus, a Roman relief depicting gladiators, and weaponry, sculpture, and porcelain. Join a walking or Segway tour of Catania to visit the castle and museum along with other city highlights including Piazza Duomo, the Cathedral di Sant’Agata, and the Monastero dei Benedettini. Kids especially love to visit imposing Ursino Castle, with a large circular tower at each corner and an open-air inner courtyard. The castle is entirely accessible to wheelchair users via an elevator. Ursino Castle is located on the edge of Catania’s historic city center, an easy walk from the Catania Centrale train station and the main Piazza Duomo. Catania, like all Sicilian cities, can be uncomfortably hot in the summer months. Ursino Castle is open all day and can offer respite from the midday heat, so visit the city’s outdoor attractions such as Piazza Duomo and Via Etnea in the cooler morning and evening and tour the castle during the hottest hours of the day. Ursino Castle was originally built high on the sea cliffs to guard the Sicilian coast, but was encircled by lava after the 17th-century eruptions of nearby Mount Etna filled in the moat and moved the coastline farther out to sea. The castle now stands 1,640 feet (500 meters) inland, just on the edge of the historic city center, surrounded by bustling city streets and squares. Local host Sonia puts on an unforgettable dining experience that is sure to be the highlight of your trip to Italy. More than just a dinner, Sonia uses her own homegrown pistacchios in all her recipes that come directly from her father's estate in Bronte, along with the local extra virgin olive oil. She whips up a delicious Sicilian dinner using a traditional Catanian menu - a surprising combination you'll love!Experience highlights• Try Sonia's family's hand-picked pistacchios• Tradtional 3-course meal and local Sicilian wines• Experience local life and share cultures Menu• Parmesan basket with pistachio and mortadella• Pasta with pistachio sauce and bacon• Lemon tiramisu• Red wine and more!  *Eatwith is the world’s largest community for culinary experiences with locals. Enjoy local food and browse dinner parties, cooking classes and more in beautiful homes and exclusive venues.